It’s only March but already 2015 has been big writing year for me. In addition to writing and turning in two books, my first book, Ancient Maya, is out from Abdo. That’s the plus and it really is a big one, but until recently I was seeing on the short term advantages. All three books are work for hire. Once the final manuscript is approved, I’ll collect my check and that will be that. There’s no long term gain except for the by-lines that need to convince a royalty-paying publisher to take on my work. At least, that’s what I thought until I read Nina Amir’s Authorpreneur. Another Muffin blogger, Jodi Webb, asked me to read the book as part of the blog tour. I agreed because I thought it would give me a solid blog post, a big deal when you blog 5 times a week, and I might learn something. I actually learned quite a lot. If you’ve read Authorpreneur, then you know it is all about building your income by building an entrepreneurial enterprise around your book. In doing this, you not only make income based on the book itself (royalties or work-for-hire) but on a variety of things that build on your expertise as a writer and the writer of THIS particular book. Amir suggests that we do this through supplemental books, classes, workshops and more. Why am I writing about this if Jodi has already written a post about the book? Because Amir's suggestions have changed how I look at my book. Instead of just putting it on my shelf (how pretty! ), I’m brainstorming other possible opportunities based on my expertise. This possibility has been open based on every other sale that I've ever made but after reading Amir's book, I've been motivated to do something about it. According to Amir, I can write and speak on the Maya and writing. Here is the list that I’ve brainstormed so far. A book of late grade school/middle grade writing activities with a Mayan theme. A book of classroom activities using Mayan art to teach literacy, critical thinking, and history. A book on how we use history, archaeology, linguistics, chemistry, genetics, and forensics to learn about the Ancient Maya. Might feature expert interviews. A book on what life is like for modern Mayan peoples. A book about how, based on their own preconceptions, early historians and archaeologists got so much about the Maya wrong. A classroom experience based on each of the books above. After reading Amir’s book, I’m beginning to understand how short-sighted my approach to my writing has been. Yes, I write daily. Yes, I get my work out there and I make sales. That's great for the short term but I'm selling my expertise short. Amir has given my ideas about how to capitalize on my sales. If you'll excuse me, I have a plan to outline. Congratulations on your new book, Sue! 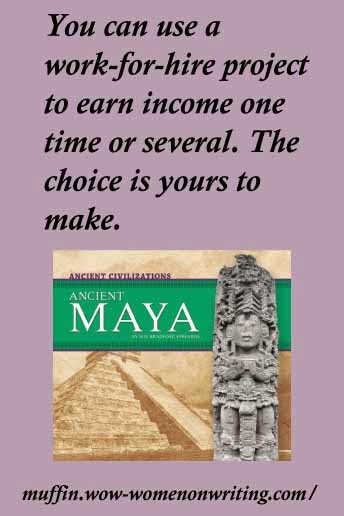 I'm fascinated by the Maya civilization and like your ideas--especially the Mayan art book. Thanks for sharing a detailed example of how to put Nina's Authorpreneur to work! I love it when books help you see the world differently and inspire action.